The Suoni Ensemble is a group of musicians, both from classical and improvising backgrounds, all chosen for their unique sounds by Irish composer/conductor Siobhan Lamb. The musicians of the Suoni Ensemble are from several countries and include celebrated Saxophonist Helge Albin. 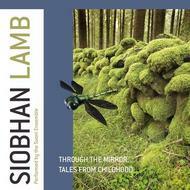 Siobhan tells stories through her compositions.